Stainless Steel Kitchen Equipment finds extensive usage in Hotels, Restaurants, Households, etc. Keeping the customers requirement in view we design the Stainless Steel Kitchen Equipment. 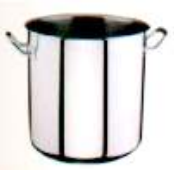 A quality range of Kitchen Equipment is offered to the customers in secured packing at rock bottom prices. We have gained rich industry experience in the field of supplying and exporting a huge gamut of Steel Dinner Plates. These attractively designed plates are broadly demanded and appreciated by our huge clientele for their smooth cuts, finest finishing, durability, optimum strength and reliability. Entire range of our plates has been undergone strict quality management processes that make them free from any defect. 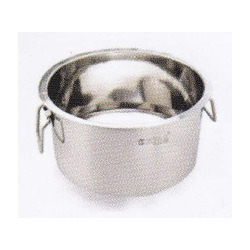 As a leading name in industry, our company is engaged in supplying, trading, retailing and wholesaling a huge variety of Stock Pot.These pots are well designed as per the industry norms and standards by utilizing the optimum grade materials. 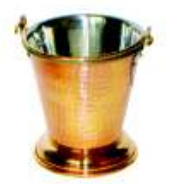 Available in different designs, these pots are offered at most economic rates in market. Apart from this, our range is delivered within the short span of time. 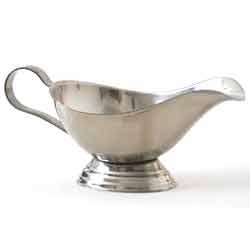 We are counted amongst the eminent names in industry, engaged in supplying, trading and exporting a huge gamut of Stainless Steel Ice Cream Cups. Intricately crafted thee cups are available in attractive shapes, sizes and designs as per the clients’ specific demands. 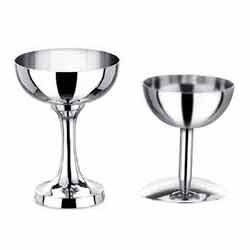 Our vendors have designed these cups by using optimum grade raw materials and sophisticated tools that increase their strength and provide them longevity. Leveraging on hi-tech infrastructure facilities and well trained professionals, we are engaged in supplying, trading, exporting, wholesaling and retailing Sauce Boat in industry. 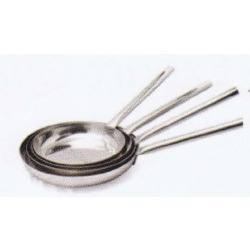 Our vendors have made the utilization of high class raw materials in fabrication of these stylish sauce utensils. 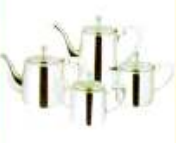 We have done the procurement of these utensils from trustworthy and genuine vendors of the industry. 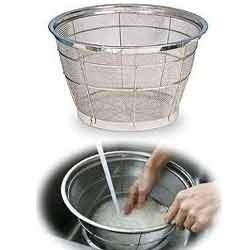 We are among the most prominent names in industry, engaged in supplying and trading a wide array of Rice Stainer. The range of our products has been designed and developed as per the industry norms and under tenable-guidance of the industry experts, who stringently check each stage of the production processes. In addition to this, we offer our range within the prescribed time frame. 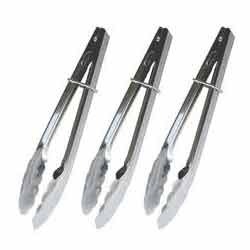 Size: 12 inch to 30"
We are one of the trusted names in industry, involved in supplying and retailing an exclusive range of Food Tongs.These tongs are equipped with the highly insulated handles that prevent the hands from burning. Our range is fabricated using the best quality steel and advanced technology tools that make them more qualitative. Apart from this, our range is demanded across the globe for their smooth finishing and durability. With state-of-the-art infrastructure facilities, we are indulged in offering a wide collection of Aluminum Utensils. These utensils are made by using optimum quality aluminum that increase their strength and provide them longevity. Entire range of our products has been passed through well defined quietly parameters to ensure utmost client satisfaction. 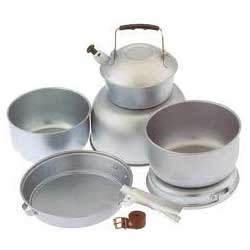 Moreover, clients can avail our range at leading rates. With the help of our immensely skilled and dexterous professionals, we are engaged in supplying, trading and exporting a huge collection of Steel Handi. 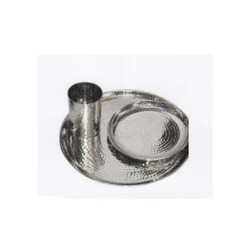 Our range is fabricated by utilizing the stainless steel and advanced technology equipment that help in shaping them into various unique patterns to grab the attention of the people. Our range is acknowledged for its durable finish, optimum strength and innovative shapes. We are counted amongst the eminent names in industry, engaged in supplying, trading and exporting a hue gamut of Stainless Steel Spatula. 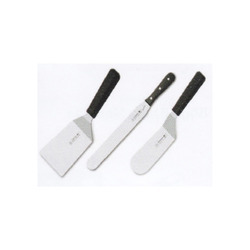 These spatulas are designed for easier spreading of butter of any other spreading onto the food items. 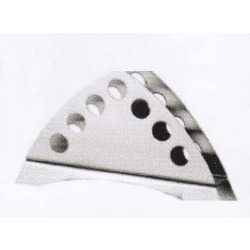 Our vendors have designed our range of these spatulas in adherence with the quality norms and by adopting the cutting-edge technology methods. Being a client-centric organization, we are engaged in supplying, trading and exporting a huge variety of Napkin Stand. These stands are smoothly finished into various shapes and patterns that make them widely appreciated by the clients. With the help of modern technology tools and world-class raw materials, our vendors have designed these stands as per the international quality standards and norms. 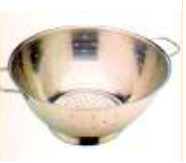 From the past couple of years, we are engaged in providing an exclusive range of Fry Pan that are available in different shapes and designs as per the clients’ diverse requirements and demands. We offer our range of these pans after checking them on set industry norms in order to gain the utmost client satisfaction. 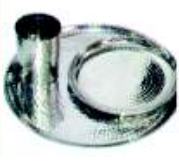 Moreover, our range is supplied within the given time frame and in safe packaging. 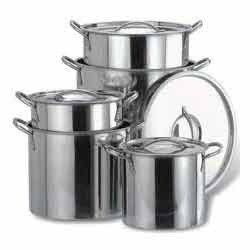 Looking for Stainless Steel Kitchen Equipment ?